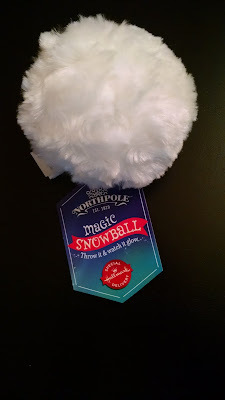 This is the Northpole Magic Snowball, produced by Hallmark and intended to tie to their TV movie of the same name. I think they missed an opportunity when they failed to market it as a Snow Tribble. I picked this up at Wallgreens last year. I was actually more interested in getting something else from this line, but I had a coupon that would knock five bucks or so off the price if I spent above a certain amount on Northpole branded crap. 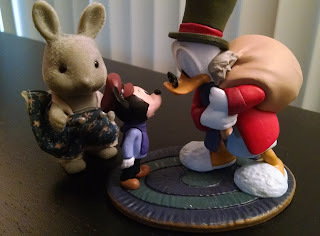 If memory serves, this was going for $5, anyway, so it basically negated the price. By the way, what's pictured above is all the packaging this came with. The tag insists it's for decorative use only, but there are no other warnings about throwing it at others. It does mention that nonreplaceable batteries are included. Have you visited your friendly local comic shop this week? 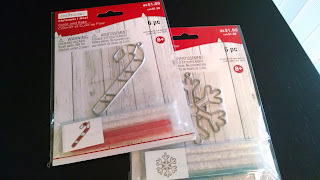 You might want to make the trip, some super-fun holiday specials just came out! I know, I know, Gwenpool? Just go with it and trust me on this one. 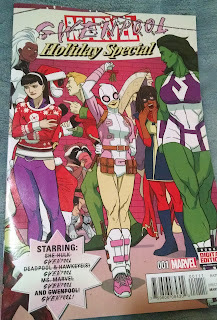 This hefty issue tells four interlocking stories featuring some of the recent stars of the Marvel U. 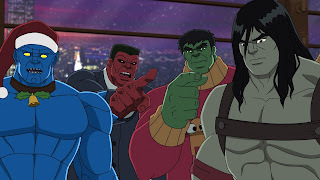 The overarching tale follows She-Hulk, as she throws the biggest party of the year to defeat some evil magic. Meanwhile, Ms. Marvel takes out her frustrations with the ubiquity of Christmas on an evil Santa. Hawkeye and Hawkeye team up with Deadpool to catch a holiday pickpocket as a favor to one of Clint’s friends. Gwenpool goes up against a giant sword-snake-thing and enjoys her visit to the main Marvel Universe. 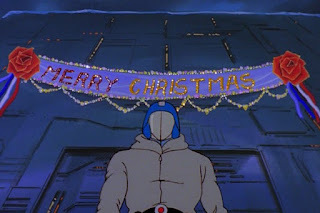 Okay, we already watched the Christmas episode in season three. Here's the rest of them. First we have to backtrack to episodes in seasons one and two. In this episode Salem throws a hissy fit (pun intended), stays out to make the family worried, and ends up catnapped by a little boy who wants a pet. 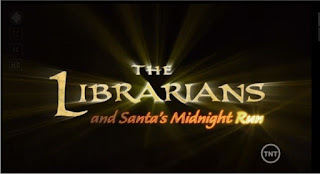 There's a painfully obnoxious montage in this one as well, as Sabrina and her aunts (Hilda and Zelda) search for Salem. 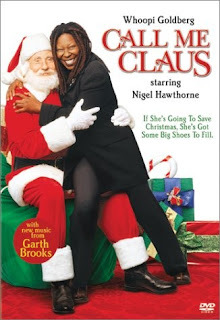 The highlights are references to Salem's backstory (he was originally human, but turned into a cat for trying to take over the world), and a scene where Sabrina steals Salem back by dressing as Santa and teleporting into the kid's closet, knowing no one will believe him. Also, Coolio has a cameo as a poster brought briefly to life. Oh, if you've never seen this show, you might not know that Salem is played at times by a truly ugly puppet cat and at times by a real cat. It's very strange. I watched this show back when it aired, and I remember enjoying it. So, it's true, you can never go home again. This incredibly long-feeling half hour had a unnecessarily complicated plot. I'm going to sum up. 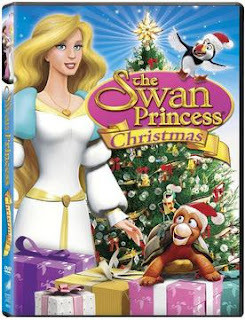 The Swan Princess Christmas is the third of four direct-to-video sequels to The Swan Princess, a movie which failed to make ten million dollars during its entire theatrical run and has a Rotten Tomatoes score of 44%. 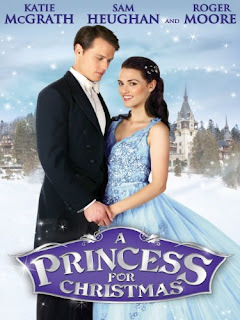 This is the first and only installment of the franchise I've ever seen, so I can't attest whether the abysmal writing, direction, and animation were par for the course, or if this fails to live up to the series's pitiful legacy. 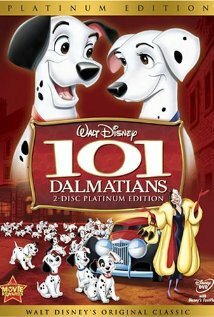 Assuming Wikipedia is right, this was the first in the series to be computer animated. For the majority of this movie's run time, the plot is essentially incomprehensible. The two leads, Derek and Odette, are getting ready to spend their first Christmas together. They have three talking animal sidekicks who almost never interact with them: a puffin, a turtle, and frog trying to get women to kiss him. And there's a cat who's working with the ghost of the villain from the first movie. 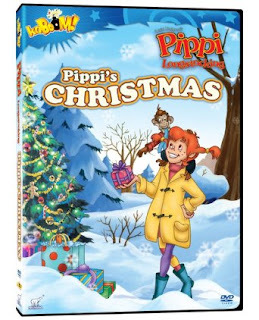 I love Pippi Longstocking, although my love has not led me to actually read the source material or seek out other media about the character. 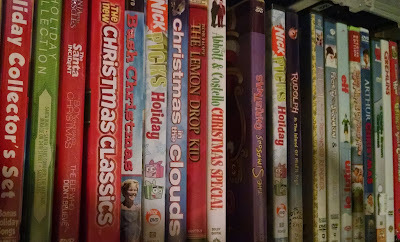 My love is mostly confined to the 1988 movie being a major part of my childhood. 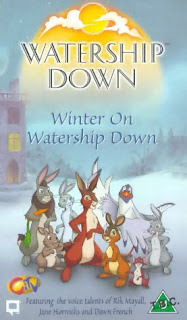 If my childhood had instead contained the 1998 animated series, I might not have the same affection for the character. Not that this was actively bad. 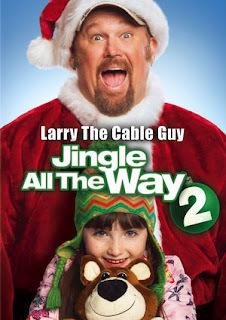 It was just boring, and these days boring is the death knell for Christmas media for us. The opening credits, despite being a bit too long, led us to hope for some sort of adventure or excitement. No dice. 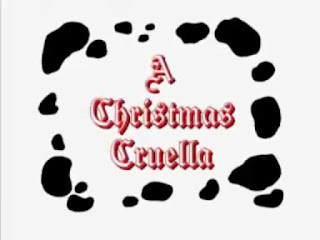 The entire plot was about two thieves (recurring characters) trying to steal money so they can have food and a place to stay on Christmas. 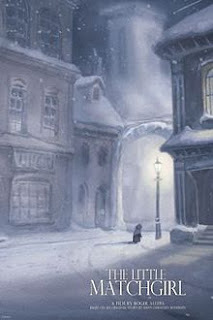 They have no money, and they try various schemes, first to try to make enough to get dinner and go to a hotel, and later they just try to get arrested so they’ll have someplace warm to sleep. 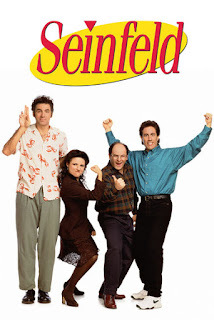 It's hard to overstate how big Seinfeld was in the 90's. It was the top sitcom for four years and the top TV show for two. The subject matter was surprisingly adult for its time slot, and among geeks, it offered a rare opportunity to see our interests cross over with mainstream entertainment. 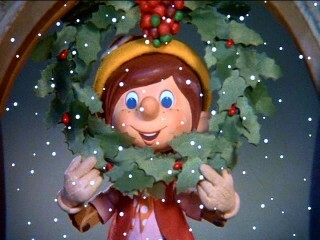 While Jerry himself was Jewish, the series had several Christmas episodes, often exploring the holiday without even a hint of sentimentality or nostalgia. That alone makes these stand out from the norm. I felt like the show held up well on a new viewing. While the jokes of course weren't as fresh as when I first heard them, most of them remain funny. The exceptions were Jerry's monologues, which came off more dated. But those weren't more than a few minutes of any episode, anyway.